Prime Minister Justin Trudeau said Friday the next governor general appointment will reflect the desire of Canadians to see diversity in government appointments. In a Friday announcement in Toronto, Prime Minister Justin Trudeau hinted at the nature of the coming change-up in the governor general's office. Trudeau said the next appointment would express Canada's diversity and referenced the answer he gave last November when he was asked why he created a cabinet with equal number of men and women. "I suspect I might be saying 'because it's 2017' when the time for that decision [on the Governor General] comes around to be explained," he said. "I can reassure you, I will take into account the nature of Canada and the desire of Canadians to see institutions and appointments across the government that reflect the diversity of Canada," said Trudeau. CBC Forum | Who should be Canada's next governor general? Do we still need throne speeches? "We appoint people who look like Canada, who understand the extraordinary diversity of Canada and highlight the amazing fact that Canada is one of the few (places) in the world that is made stronger because of its differences." Trudeau commended current Gov. Gen. David Johnston on the work he's done to represent Canada, push innovation and work on youth issues. "He's doing an exceptional job and I'm proud to have him as our Governor General," said Trudeau, noting that he'll have big shoes to fill when the time comes. Johnston was appointed by former-prime minister Stephen Harper on July 8, 2010. In 2015, Johnston agreed to a two-year extension to his original five-year term. He'll serve until September, 2017. Prior to Johnston, Michaëlle Jean served at the post from 2005 to 2010. Jean was the first governor general of Caribbean origin. Preceding Jean, Adrienne Clarkson served from 1999 to 2005. Clarkson was the first Chinese-Canadian to be appointed to the post. The prime minister was visiting the Dovercourt Boys and Girls Club to announce a $106-million boost and doubling of the Canada Summer Jobs program. Friday marked Trudeau's 100th day in office. 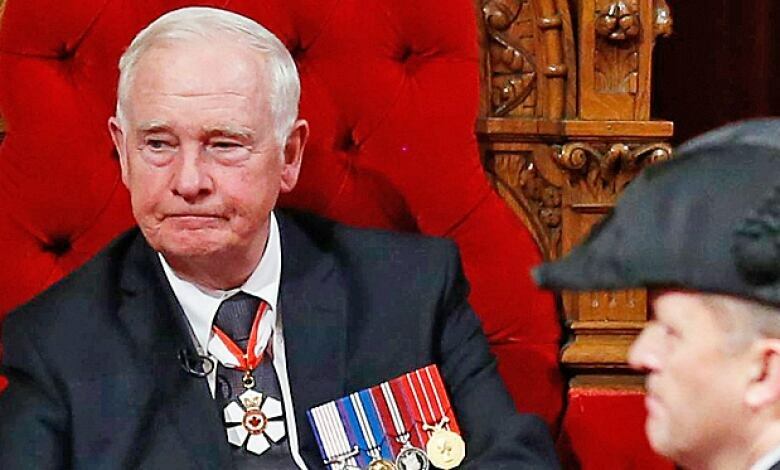 CBC Forum: Who should be Canada's next governor general?